Conditions at the time were cold and dark due to it being winter at the time in Scotland, and the tide seemed to be at its lowest so an extensive stretch of sand was present. The sandy beach in Musselburgh was littered with various small hard surfaces (like stones and shells), all of which were covered in what seemed to be gelatinous eggs. 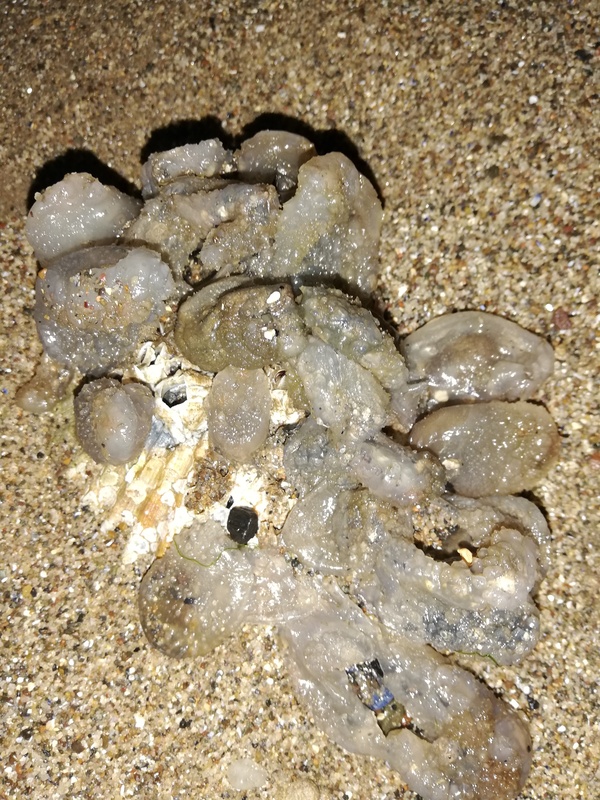 I have done an observation on this on inaturalist, and someone suggested that these could be sea squirts, but I am still unsure.